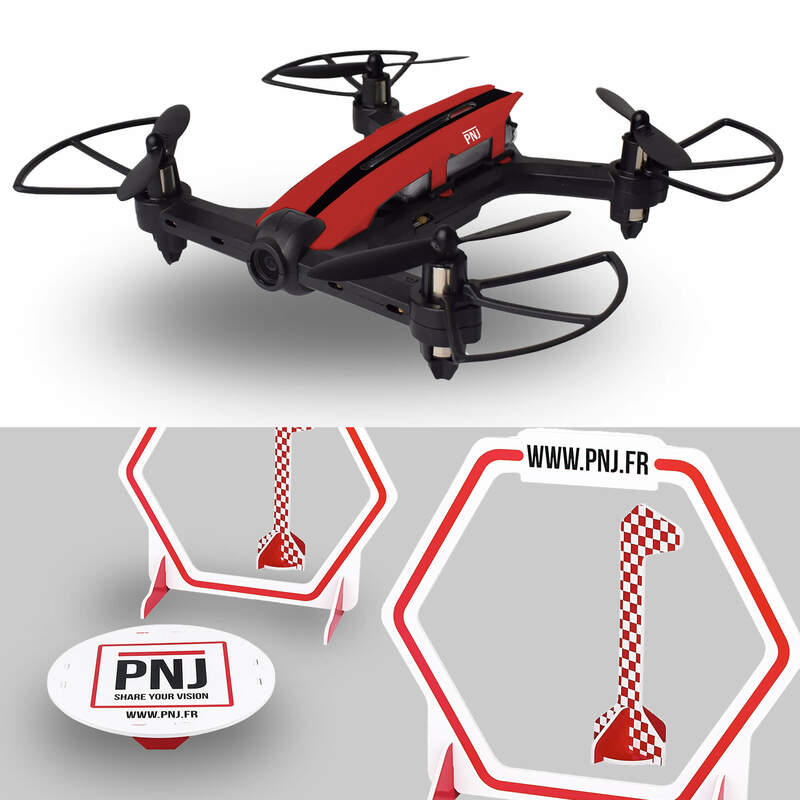 It’s time for fans of models and radio controlled vehicles to embark on the drone race. 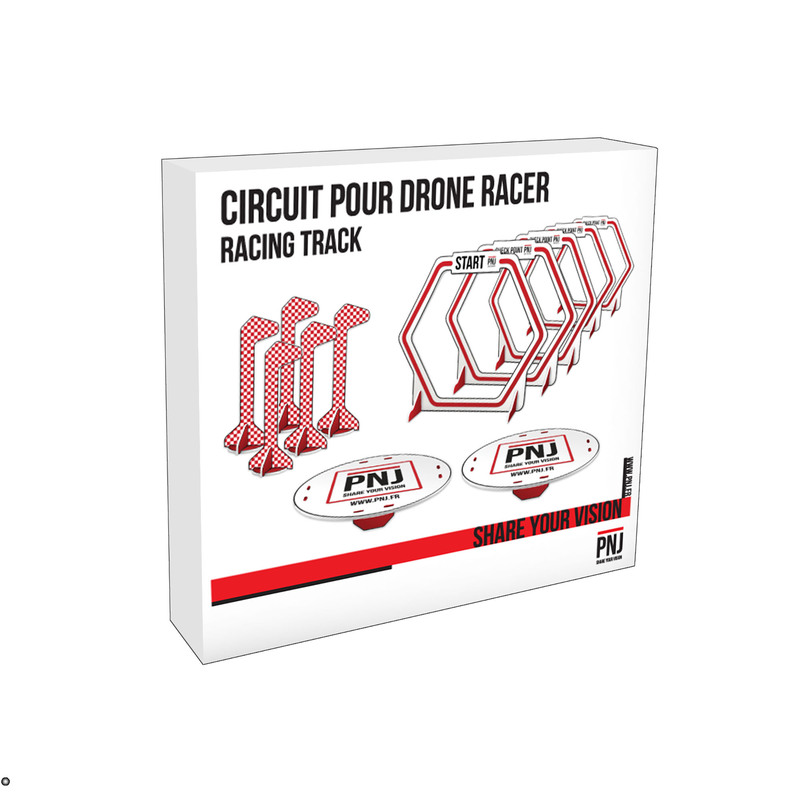 This pack is perfect for people who would like to test a racing drone without breaking the bank. Get your hands on our R NANO HD before switching to more expensive and more technical models. 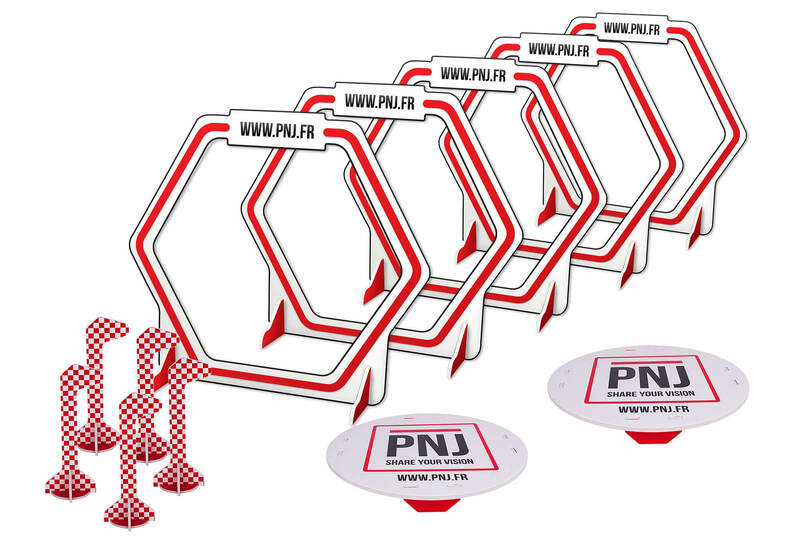 In this special pack, your mini racing drone is completed with a flight path composed of 5 doors, 5 flags and 2 take-off / landing bases. Spice it up and test your pilot skill before challenging your friends. 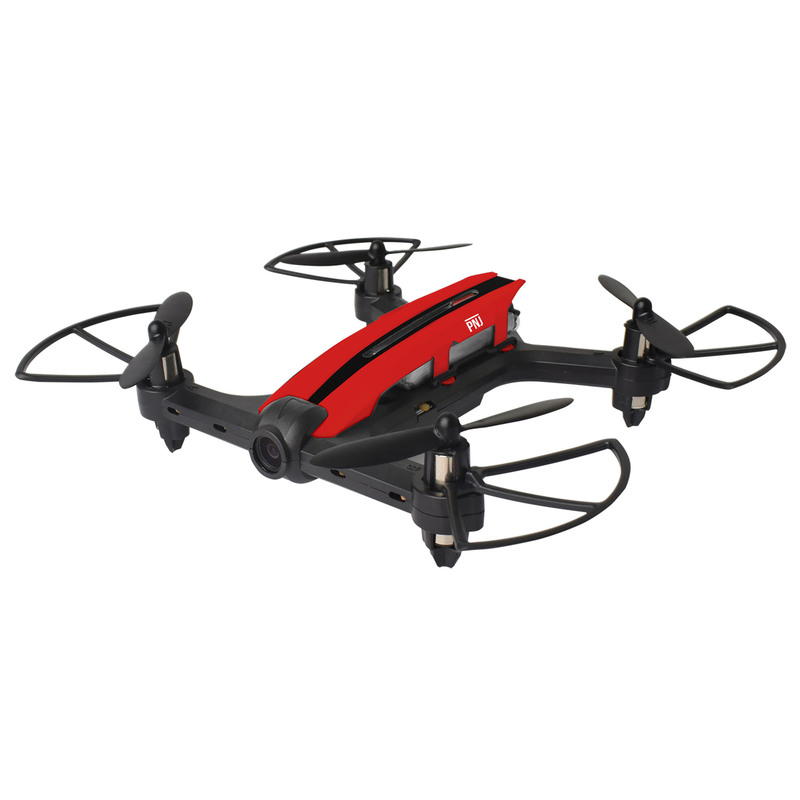 Take control on this snappy and sturdy drone and familiarize yourself with radio control. The R NANO HD’s built-in HD camera will also allow you to shoot high-quality videos in 720p20ips and shots. Your drone is also complemented by an extra battery to allow you to double your flight time (6 minutes + 6 minutes). This is what you will have at hand to give free rein to your imagination. 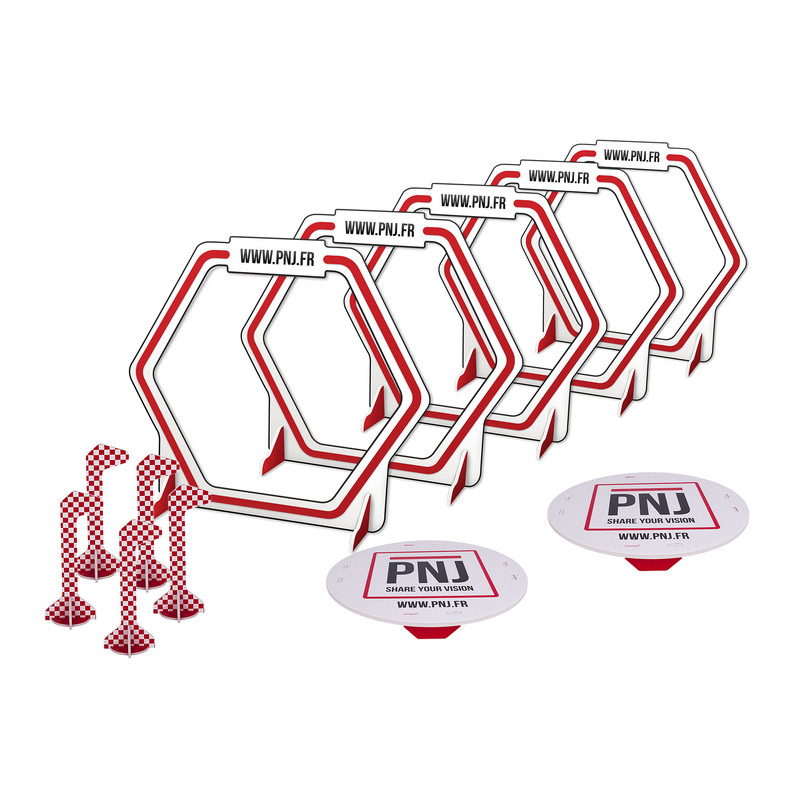 Create your own course and improve your flight accuracy.